The Sonian Forest is once again getting a public face—a simple and recognizable identity. Starting in 2013, the information signs in the forest will be gradually replaced. Brand new information signs in the new house style will be erected. The entire forest will soon be decked out in the same forest furnishings. 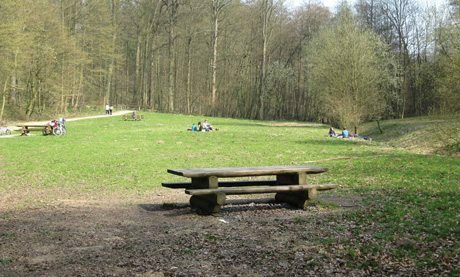 Benches, tables, refuse bins, pictograms—they will all be clearly recognizable throughout the entire forest. You can already admire the first prototypes inBoitsfort. This makes it clear to everyone—this is the Sonian Forest.